Learn more about the Groomingdales team and what we do to pamper your pet! 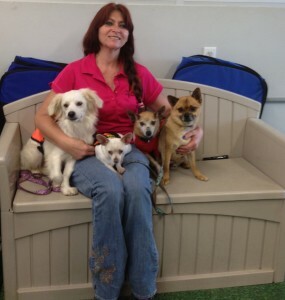 Serving Naples, since 1986, groomingdales of Naples’ proprietor, Tink Bechtol, and her grooming team, knows what it takes to make your pet shine inside and out! The team uses grooming techniques and accessories that will make your pet look and feel wonderful. The team at groomingdales of Naples are true animal lovers and cater to the style-conscious pets and their owners. Not only do we provide the finest award-winning grooming in beautiful Naples Florida, we also provide a dash of high style with love– your pet will feel and look his/her best! Our location is an innovative facility designed with you and your pet’s comfort and safety in mind. You can have peace of mind and rest easy knowing your beloved pet is getting the attention, love, and quality groom they deserve! Smart pet owners know that a well-groomed, clean pet is a happy pet. Won’t you join our family of happy pets and pet owners?